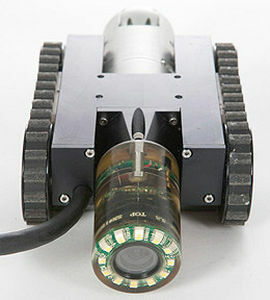 The NanoMag is a miniature crawler system with built-in rare earth magnets, allowing it to travel vertically, horizontally and even upside down on ferrous metal surfaces. 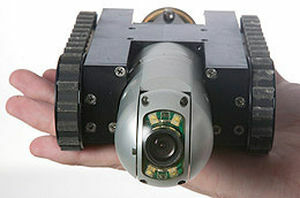 The standard unit includes a Spectrum 45 pan and tilt camera on the front of the vehicle and a rear facing Crystal Cam for navigating in tight spaces. Although originally designed for use on the top of PWR nuclear reactors, the NanoMag is ideal for inspecting almost any steel structure where vertical operation is required. Unlike our other Crawler Vehicles, the NanoMag is intended for dry-only applications.